June begins, and so does a rich season of festivities that give us appreciation for culture within and outside of our country. We have chosen some of the best Patron Saint celebrations in Spain during the month of June so that you can create your own calendar and spend the month celebrating. We start our Spanish celebrations in June with one of the most interesting ones. Zafra celebrates a massive festival that pays tribute to its Golden Age as it hosts the celebration of the Corpus and the night of St. John. Numerous events take place in the streets of the town, which are adorned and dressed to stage a journey as realistic as possible to the Golden Age in which there are no shortages of handicrafts and gastronomy, musical performances, theatre, parades, guided tours, tapas routes and, especially, the popular living chess set in honor of Ruy Lopez de Segura. He was a famous chess player born in Zafra in 1540. The name of “De la Luna al Fuego” has a symbolic meaning: the moon (luna) is associated with the feast of the Corpus, while the fire (fuego) is the emblem of the night of St. John. From June 20th to 24th, the city of Alicante is busy with Les Fogueres de Sant Joan, a major festival of the municipality that has been declared a national tourist interest. The Plantá Oficial, on the night of June 20th, will mark the starting point to make way for a packed schedule of events. During the four days, they will burn artistic polychromatic monuments of cardboard, stone, and wood with deep satirical meaning, besides celebrating with passacaglias, musical performances, and parades….On the 22nd and 23rd, when the weekend arrives, the festival is expected to be the most crowded. Although the festivities end on the night of Sunday the 24th, in the following days there is a fireworks show and strings of firecrackers on the beach of Postiguet. 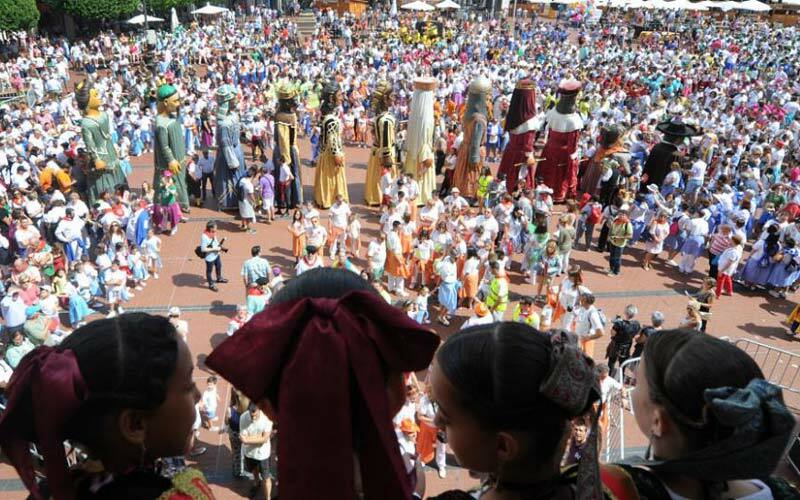 The celebration of San Juan and San Pedro, held at the end of June in León, make the city a prime location for entertainment and fun in the province. The large number of visitors who attend this festivity join all of León, filling the streets during the seven days without stopping. 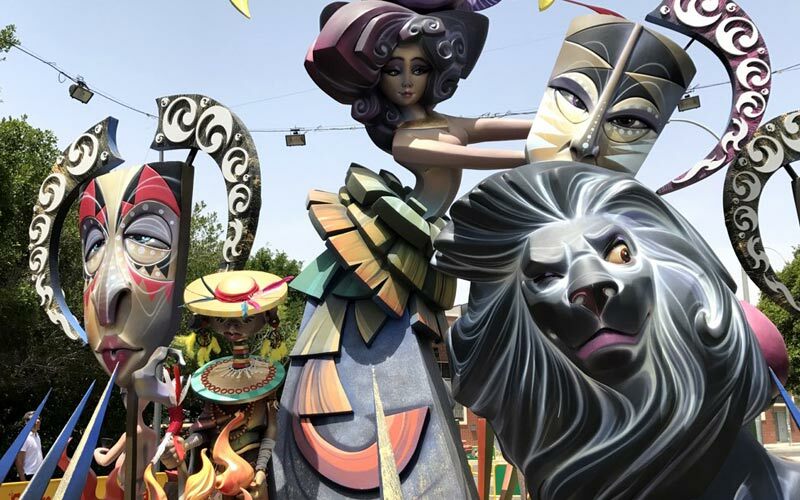 Although the festive activities begin on June 16th and continue until the 2nd of July, the “Semana Grande” (big week) is the biggest part of the celebration, during which a variety of activities for all tastes and ages are held. From the traditional bonfire of San Juan to the bullfights, concerts, horseback rides and more, they are all planned to be part of this special celebration. The end of the Patron Saint celebrations of Spain during the month of June falls short of the festivities of Soria. Since the heat intensifies in May and has already arrived in June, the cycle of the Sanjuanes (the traditional song of harpists and musicians) completely seizes the city. Both the streets of Soria and the outdoor space next to the Duero and Mount Valonsadero make up the location of the celebration and revelry throughout the month to culminate in the official festival. On Wednesday, the opening speech takes place and it is jam-packed with people. 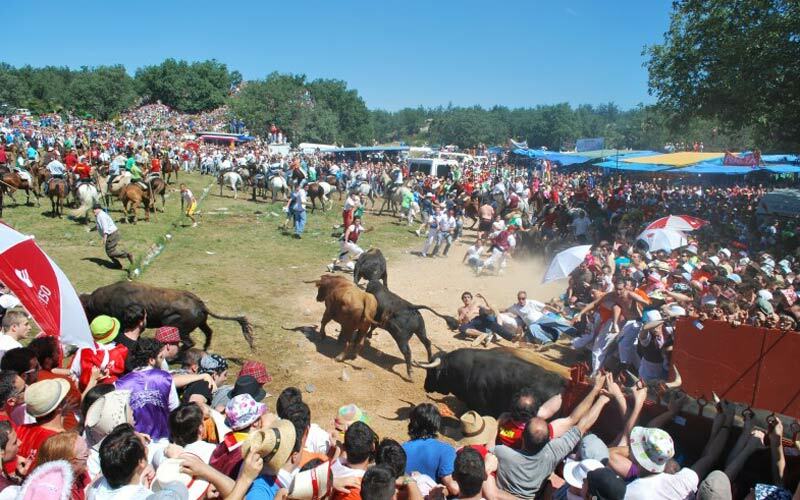 This takes place before Thursday “La Saca”, Friday “De Toros (of the bulls)“, Saturday “Agés (ages)“, Sunday “De Calderas” and Monday “De Bailas (of dances).” Six intense days where there is no lack in fun or energy. The sun, the wine and the bulls are the hallmarks of these festivities. With the first full moon of the summer, the Leonesa city of Ponferrada revives its Templar past and becomes a medieval city of the 12th century. This celebration consists of the recreation of a medieval event that brings in a lot of tourists. 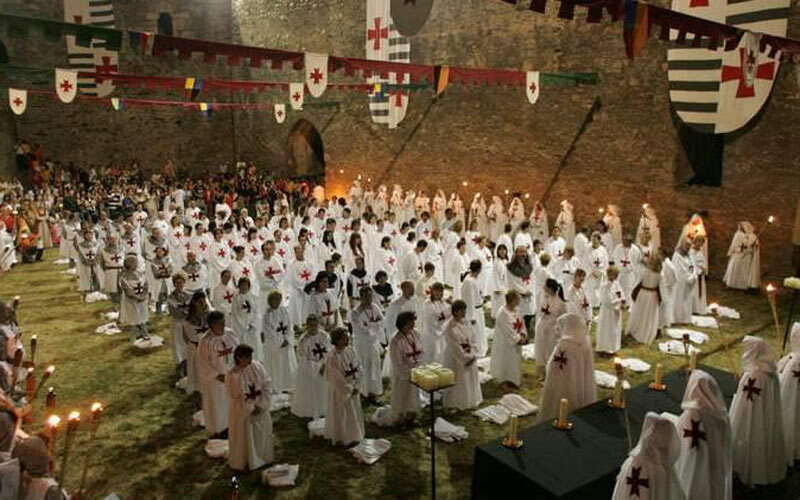 Hundreds of Templars dressed in white with their Red Cross and torches, as well as knights on their horses, take to the streets and the Castle of Ponferrada in the Templar Procession, the most outstanding tradition of this festival. This is in addition to medieval dinners, markets, music and street shows meant for all types of people. It is one of the most interesting celebrations in Spain during the month of June. 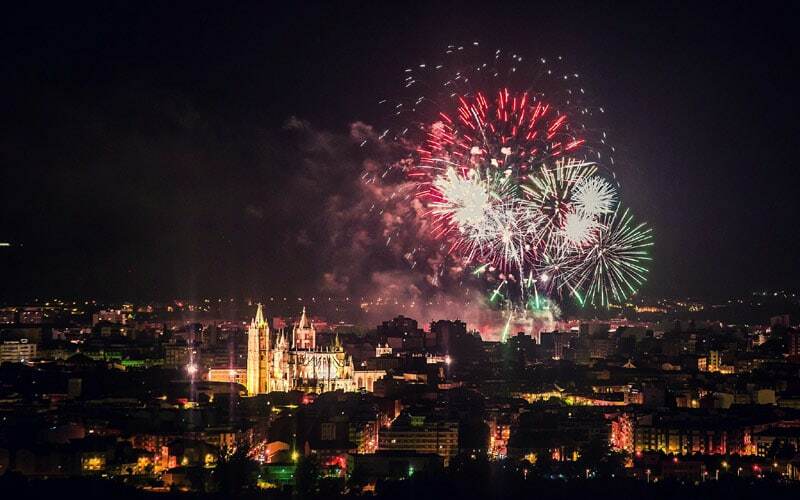 The magical city of Burgos hosts one of the biggest festivals in June at the end of the month. The Festival of Saint Peter and Saint Paul, popularly known as the ‘Sampedros,’ will begin on June 28 and will last for 11 days during which the city is going to be filled with energy and excitement. The successful combination of traditional events with a variety of different activities lures more and more people to this celebration. There are events and activities for all tastes and ages, that allows everyone to enjoy the celebration. 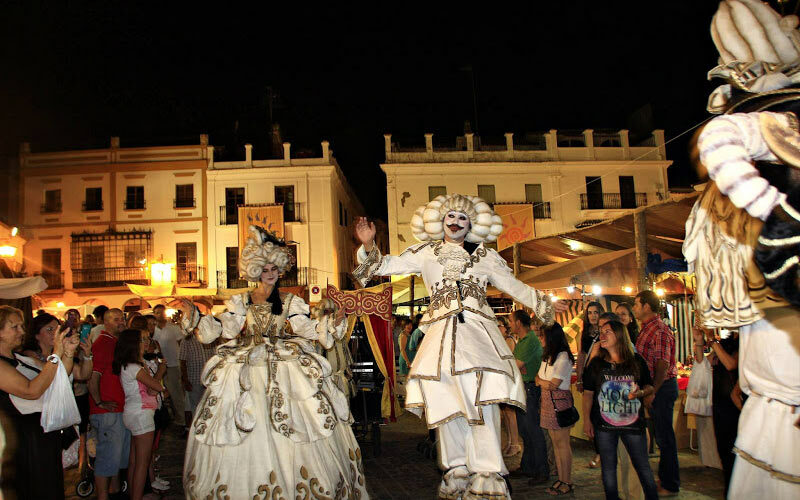 Concerts, open-air dances, parades, and the tapas fair are just some of the many attractions of the Sampedros, one of the Patron Saint celeberations in Spain during June. 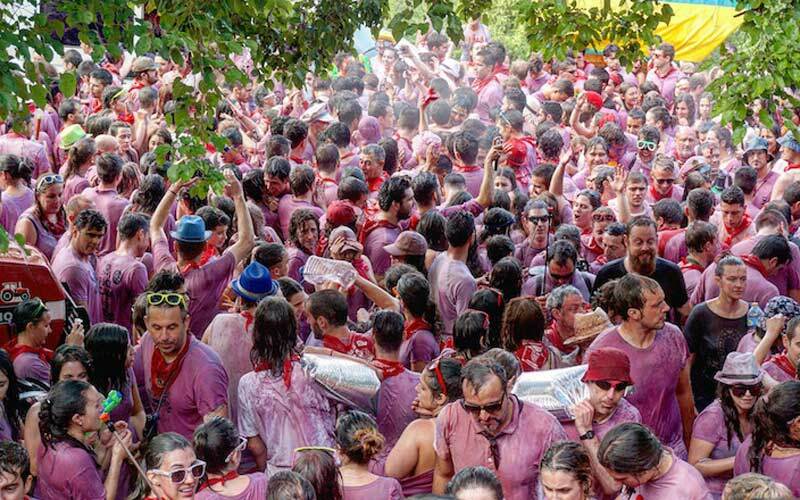 On June 29th, the town of Haro is stained red in the Batalla del Vino (the Battle of Wine). As its name suggests, wine is the star of this fight where the goal is to get everyone drenched. This festival attracts tourists nationally, and takes place in the morning, after the celebration of a pilgrimage to the hermitage of the Riscos of Bilibio. The revelry that began in the past during lunch after the mass in the Hermitage has resulted in this unique festival that uses up to 130,000 liters of wine. Since 2004, children can also be part of these festivities, waging their own battle with red wine a few days before the actual festival.